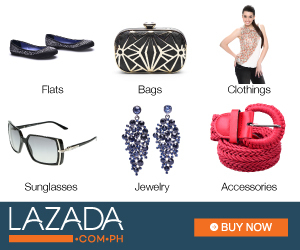 Food Escapade at Manna Korea Garden | Vanity and Everything in Between. Manna Korea Garden is an authentic Korean restaurant. It's owned by a Korean family, if I'm not mistaken. When I went there, there are more Korean families dining than Filipinos. That's always a good thing because it means the food is really good! It's not a fine dining restaurant so if you're looking for ambiance, you won't see it in this restaurant. 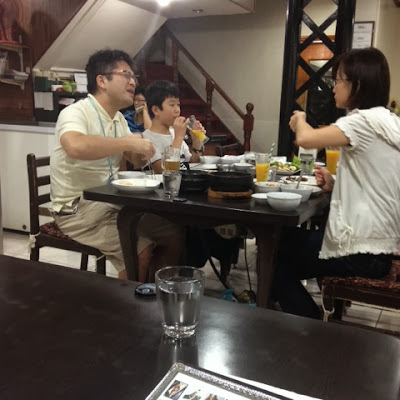 Korean family on the next table. 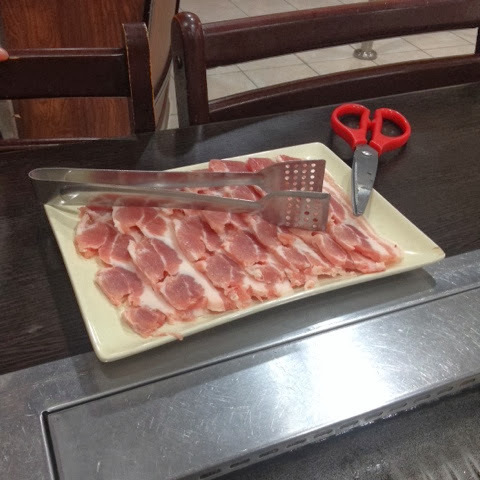 I wasn't able to take a photo when the pork was already cooked because I got too excited about eating it. 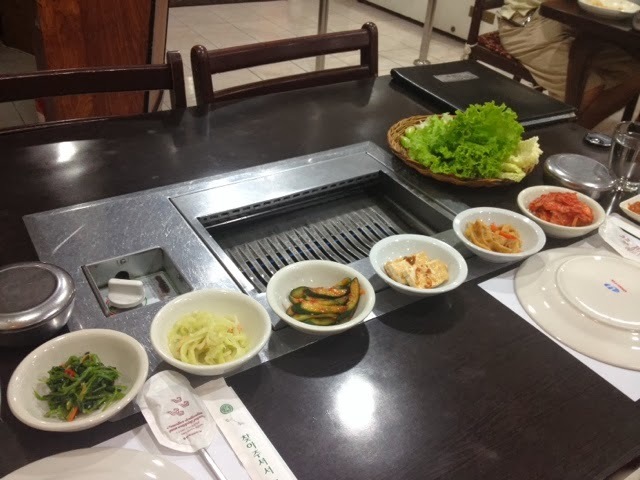 There were two kinds of Samgyeupsal, Original (PhP280.00) and Marinated (PhP320.00). We got original because it's their bestseller. Steamed rice is not refillable though so you might need to order 2 cups of rice if you're really hungry. Will definitely go back here to try other dishes! 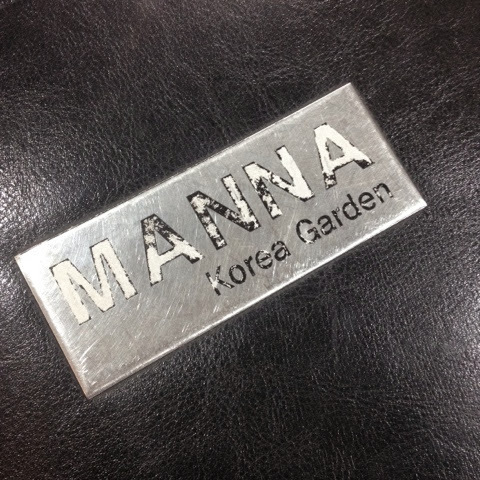 Manna Korea Garden is located at San Pedro Street, Makati City.